It’s an amazing experience when a prediction from a science fiction writer’s book comes true. I had this happen to me last week when gravitational waves were discovered, in almost exactly the way I predicted in my book Nomad (when two colliding black holes were discovered). How did it feel? Surreal would be the best word. Frightening. Then surreal. To be fair, much of the credit for this goes to the long list of astrophysicists that I consulted with as I constructed the plot (and I credit them right at the start of the book, thank you very much, gentle-men and -women). Still, it felt like I’d done my own little part in the rich history of science fiction writers making predictions about the future. Reading Jules Verne’s From the Earth to the Moon, first published in 1865, really provided my inspiration in wanting to write books like this. If you're a fan of science fiction, I'd recommend reading it. Amazing. Of course, he made predictions about a manned space flight to the moon almost 100 years before the Apollo program, but I wonder how many of the engineers involved in Apollo might have been inspired by reading science fiction to do what they did? And the term “robot” was first coined in science fiction (originally appeared in a play called Rossum’s Universal Robots in 1921 by Czech writer Karel Čapek, and popularized by Isaac Asimov in his Robot series, which if you haven't read, please stop reading now and go do your homework), which is an interesting example of fiction creating reality—but the list goes on and on, from space travel to submarines, sliding doors, laser guns, invisibility cloaks and more. All of these were once the realm of science fiction, and are now reality. So what's next? And that’s one of the reasons I became a science fiction writer in the first place. To do something like that. To become a part of the tradition. Each of my books makes an attempt at this, to educate as well as entertain. In CyberStorm, I took readers on a realistic journey into what a major cyberattack might look like. In Darknet, I explored the merger of modern financial networks with artificial intelligence–and within a year after publishing Darknet, I got a flood of emails from fans talking about the announcement of an AI program at the world’s biggest hedge fund. With Nomad, the idea I wanted to explore was how the earth wasn’t separate from our interstellar environment, and just after I finished writing it a year and a half ago, I had another surprise in the news. In February of 2015, researchers were amazed to discover that just 70,000 years ago, near enough in time that our direct ancestors would have seen it, Scholz’s star passed about a half light year from the Earth (in comparison, the star currently closest to the Sun is Proxima Centuri at 4.2 light years). This led to a flurry of data crunching last year, leading scientists to discover that, for instance, four million years ago, a giant star–more than twice the mass of the sun–passed less than a third of a light year from us, and in just over a million years from now, another star will pass at just over a hundredth (yes, a hundredth) of a light year from our sun, grazing the solar system itself and possibly affecting the orbits of the planets. Now scientists are saying that Sedna, the 10th planetoid of the Sun, the one after Pluto, might not even be an original planet of our Sun. New data suggests it was probably captured from a passing star about a billion years ago, when our solar system collided with an alien star’s planetary system. 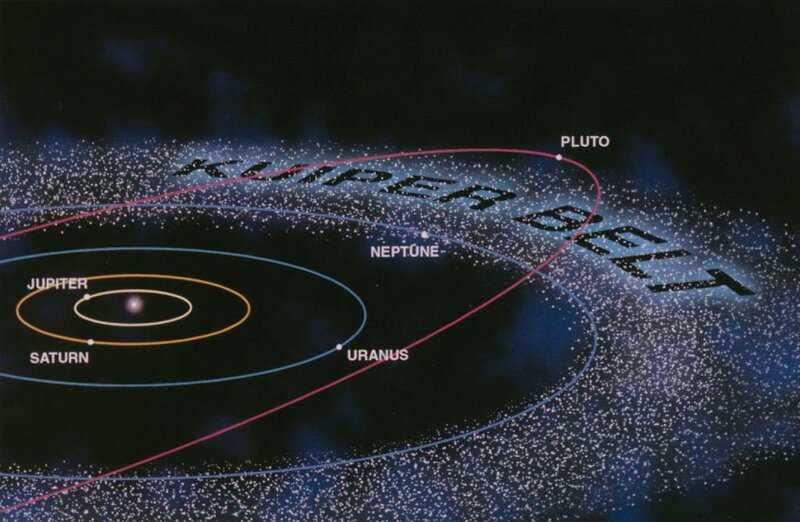 Hundreds of objects in the Kuiper Belt, the collection of planetoids past Uranus, might have been captured from passing stars. A change in Earth’s orbit 55 million years ago might have even triggered one of the biggest global warming events in its history. And a massive ice age, started 35 million years ago, might have been also been caused by another shift in Earth’s orbit, and this same event might have disturbed the asteroid belt enough to precipitate several large asteroid impacts, one of which formed the Chesapeake Bay. Some now believe these sorts of events might have been caused by the gravitational effect of a passing star, now we know that they're literally swarming around us. And that is exactly the kind of event that I described happening in Nomad–which is free today on Amazon. All my best and thanks for joining us on our journey to Discover Sci-Fi! Does Science Fiction Really Drive Innovation? Congratulations Matthew, you have every right to be very pleased with yourself.